Chrissy Metz attends the 70th Emmy Awards at Microsoft Theater on September 17, 2018 in Los Angeles, California. Chrissy Metz's purple Stuart Weitzman sandals made a lovely contrast to her green dress. 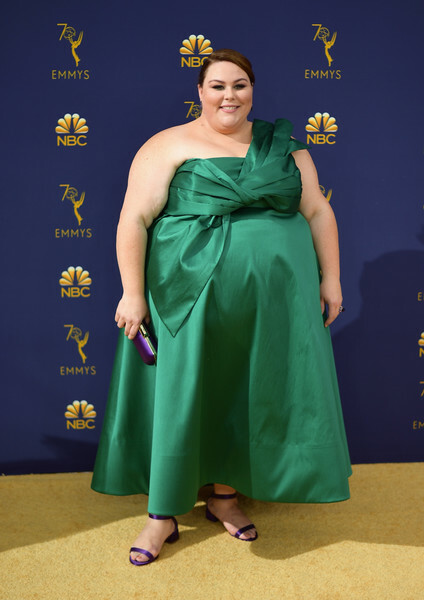 Chrissy Metz looked oh-so-glam in an emerald one-shoulder dress by John Paul Ataker at the 2018 Emmys.